Properties in Atawhai average 4.7 out of 5 stars. 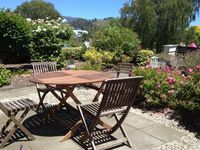 Property 6: Stunning sea views and panorama of Abel Tasman Bay with awesome Sun Sets. 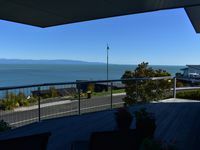 Property 16: Coastal Escape - Modern Nelson Getaway! Property 18: Riverside Villa - Nelson City Centre on the River! Property 21: Central City Location with Exceptional Views! Property 29: Stunning inner-city Studio apartment! Stylish Inner City Apartment Accommodation! Property 33: Stylish Inner City Apartment Accommodation! Property 41: City Escape - Funky Nelson Getaway!